As the first in her immigrant family to graduate high school and college, Yarina Garcia, 29, felt her parents’ pride as she advanced in her studies. “My dad always emphasized, ‘Your job is to go to school and do the best you can.’ I remember him repeating to me every day, ‘You gotta learn English. That’s the only way you’re going to be able to do things for yourself in this country.’ I took that message to heart,” said Garcia, who with her two younger sisters was born in Mexico.. 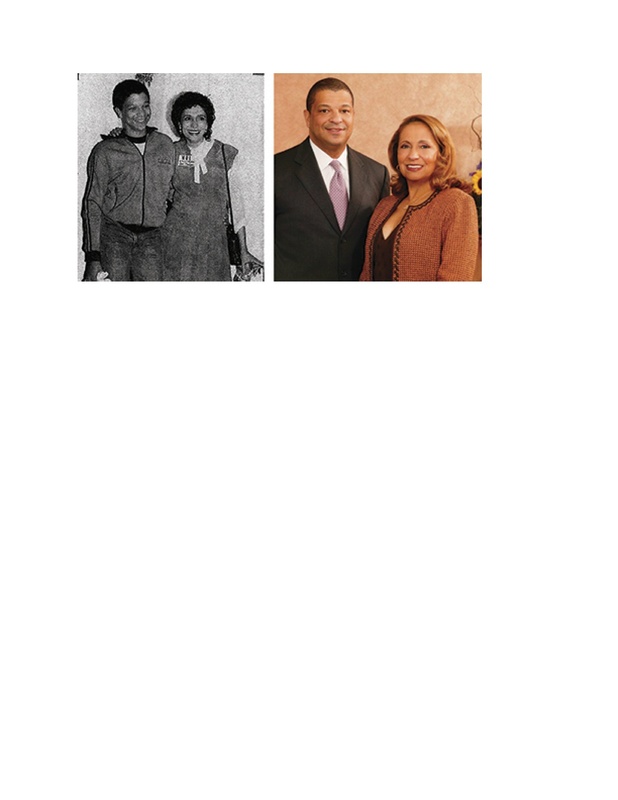 The Omaha South High and University of Nebraska at Omaha graduate has become the family’s trailblazer. She’s currently working on her master’s degree. After a foray in media and communications, she’s found her niche as Assistant Director of Undergraduate Admissions at UNO. The bilingual Garcia helps many first-generation students and their parents navigate the higher ed maze. Information is power, so she gives prospective students and families what they need to make informed decisions about options and opportunities. It becomes even more daunting when applying to multiple colleges or universities. “It’s complicated. A lot of our Latino parents don’t understand how it works. My job is to help parents and students understand what UNO offers and to hold their hand and walk them through the process. It’s important they see me as a person they can trust and open up to. The conversations definitely get very personal. If I know exactly what their situation is, it makes it easier for me to find resources. 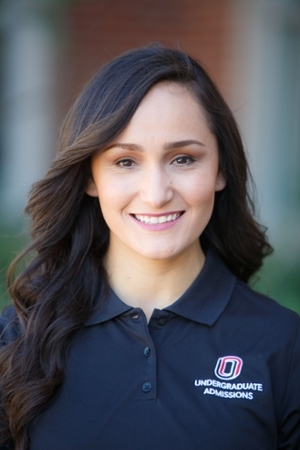 She works closely with her alma mater, Omaha South, as well as Bryan High School. She’s pleased her two younger brothers are following her lead. The oldest is a UNO sophomore. The youngest is thinking college, too. Leaving a legacy is important to Garcia, who’s worked hard to realize the family’s aspirational goals in America. “Just last year I was able to become a legal permanent resident through marrying my husband (Roger Garcia). Her brothers were born in Nebraska and are U.S. citizens. Ironically. they’re able to travel freely to Mexico and back while Garcia, her sisters and parents have been unable to return to their homeland. Now that Garcia’s new permanent legal status means she can travel without restrictions, she said, “I’m dying to go back to Mexico. I was really excited to make it this year because it’s 20 years since I left.” But since she’s expecting her second child in January she must wait. A 2014 internship with NBCUniversal Telemundo in Washington D.C. meant working on immigration issues. She returned to be part of the inaugural radio news team at Omaha Noticias (Lobo 97.7 FM). She enjoyed it, but burned-out working long days for little pay. She tried freelancing but found it too unstable. Then she found her professional home at UNO, whose communications department she started in. Her work brought her in contact with the undergraduate admissions team and when a position opened there she was encouraged to apply. She got hired and was recently promoted. She and husband Roger Garcia, executive director of Centro Latino in Council Bluffs, have their own side business, Garcia Consulting Group. 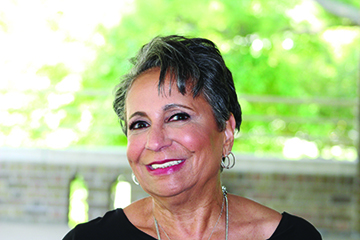 The couple apply her communication and his administrative expertise, along with a shared passion for community advocacy, to Latino-based nonprofits and entrepreneurs. Music is a birthright for Grammy Award-winning American Gramophone and Mannheim Steamroller founder Chip Davis. The Omaha transplant has built an international following with his music, which has earned some half a billion dollars in retail sales over four decades. Millions more have come from performing multimedia concert dates across the U.S. and the world. An acknowledged entrepreneurial and branding whiz, he’s leveraged his music’s appeal to partner with Walt Disney Company, NBC, Universal Studios, NASA and the National Parks System. In terms of fame and riches, only one other Nebraska musician can rival Davis – singer-composer Paul Williams, a Grammy and Oscar-winner. But where Williams is a solo act, Davis fronts a multi-dimensional machine under the Mannheim Steamroller name. Davis maintains a large production-recording-distribution complex in North Omaha. It covers five acres and four buildings, three of which are interconnected. He sponsors two national touring bands performing Steamroller’s popular Christmas catalogue. The tours nearly rival the Nebraska Theatre Caravan’s tours of A Christmas Carol. Due to a bum arm from neck surgery, Davis no longer tours, though he still makes surprise appearances. His touring musicians travel via luxury buses, but the grueling every night schedule is too strenuous for him. His private Hawker 900 XP jet gets him wherever he needs to go quickly and in comfort. He keeps a vacation home in Florida. He creates and oversees a branded line of non-music products, including food items that range from a spay-on meat baste to a cinnamon hot chocolate mix. This third-generation musician from small town Ohio is credited with helping give birth to the New Age genre for his signature fusion of classical and rock. Before that though he was hard on the path of becoming a symphony orchestra player. But then a funny thing happened on the way to his dream. 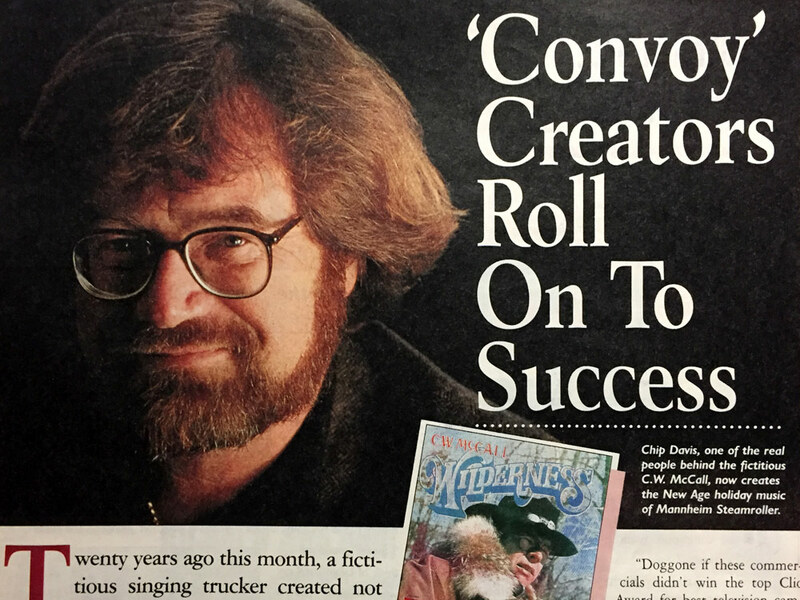 He went from the world of Bach, Beethoven and Mozart to the great American Songbook to a rock opera to advertising jingles to winning country music writer of the year to hitting upon his synthesized Steamroller sound of baroque meets easy listening. It wasn’t the first time someone in his musical family made a detour. His parents made their own break from classical to commercial. His father Louis played saxophone in the Glenn Miller touring band. His mother Betty played trombone in the NBC Symphony and in Phil Spitalny’s All Girl Orchestra. His family’s connections to American popular music run deep. His country doctor grandfather loved the (John Philip) Sousa marches and the lead trombonist in the Sousa band taught Chip’s mother in high school. His folks. plus an aunt and uncle, studied at the University of Michigan’s prestigious music school. His father taught music, led choirs and built instruments. His mother also taught music. Davis intended following suit as a teacher and classical performer. The precocious only child started on piano at 4 with his grandmother as his first teacher. He conducted in front of the family console radio. At 6 he composed a four-part chorale ode to his pet dog, Stormy, who died. In addition to being immersed in music and feeling compelled to create it, he said, “I had some of the best teachers you could ever have.” His accomplished father taught music theory-music history and was Chip’s main teacher through high school. For his primary instrument, Davis chose bassoon though he’s best known as a percussionist. It may surprise some this instrumental icon was a singer through his early 20s. He was invited to sing with the Vienna Boys Choir. The family moved back to Ohio, where Davis was in his dad’s high school choir. At Michigan Davis sang in the glee club and played drums in the marching band. He joined select students performing with the Toledo Symphony Orchestra. His classical tradition focus was so intense he missed the en vogue music of the 1960s. While his friends listened to the latest hits from Motown and British Invasion rock bands, he stuck to classical. Music kept him so preoccupied he was oblivious to the Vietnam War and civil rights protests on the Michigan campus, which was a hotbed of student activism. He did not participate in the counter-culture revolution at Michigan, but the school gave him the foundation for his professional music career. He donated about a million dollars to create the tech suite, which serves as a project workshop, research laboratory and multimedia gallery for courses in Sound Recording and Production, Interactive Media Design, Immersive Media and Performance Systems. Davis finds it ironic that Michigan became a legacy school – “a lot of family ended up there” – when his family’s from Ohio, not Michigan. Little did he know a youthful fascination with electronics would be revisited when his music career took off. He could never have imagined how electronics would intersect with his music years later. “Right, exactly,” he said in his state-of-the-art recording studio where everything’s digitally programmed. The room’s on its third control board, though it too has grown nearly obsolete in the new digital age, he said. Ever the searcher, Davis loves the freedom technology affords to explore. “Something astounding you can do today you couldn’t just a few years ago is sample different instruments. I have a new album coming out called ‘Exotic Spaces.’ I wrote pieces about exotic spaces like the Taj Mahal. I had access through Pro Tools to all these Indian instruments. I wrote with those instruments and I did it in the style of Indian music but with my Mannheim spin. Perhaps his “farthest out” experiments have involved capturing natural sounds. “I’m a scuba diver. I’m way into that,” he said. “I have Navy grade hydrophones because I’m interested in capturing sound under the surface of the ocean. On one dive we recorded a whale singing. On this new album ‘Exotic Spaces’ I use the whale song as the basis for a song I wrote the accompaniment around. His Ambience series records terrestrial sounds. “I’ve got microphones out in the woods back on my farm. They’re 200 feet apart in a square and record the sounds of nature out there. The sound engineers here come out and run the gear for me. On a Northern Minnesota excursion to record loons he and his crew arrived at Black Duck Lake. Listening devices were strategically placed before inclement weather set in. The team holed up in a cabin listening to what the remote devices picked up. Integrating music wit nature adds an ethereal depth of atmosphere and background listeners find soothing. The Ambience series is available in four-channel DVDs. Davis sends film crews to capture images of nature that are then married with the nature sounds and music. He’s since applied this nature-music sonic approach to health and healing. His Ambience Medical company creates calming psychoacoustic tracks for use in medical settings. His Ambient Therapy combines specially-recorded sounds of nature with distinctive music content via a patented Ambient Therapy System. The system is used in post-op treatment rooms at the Mayo Clinic, for example. He also has a series on seasons. His “Yellowstone: The Music of Nature” project raised over $3 million for conservation efforts between the concert tour and album. He recently gave $350,000 to fund an Eagle Mew for the Raptor Woodland Refuge at Fontenelle Forest. At his 150-acre farm nestled in Ponca Hills north of Omaha, Davis keeps horses and wolves. A buddy built his rustic-chic 10,000 square foot Swiss Chalet-style home there. The expansive breadth of his musical life may not have blossomed had he not diverged from the classical path. Soon after graduating college he got an opportunity that changed the course of his life and career when he signed to sing with the famed Norman Luboff Choir. “Absolutely. It was the way Norman was. He wrote original compositions but he was a fabulous arranger. Thus, when Davis came to Omaha for an early ’70s workshop, he was ripe for branching off in new directions. While here he met the late noted choral conductor Mel Olson (Master Singers), who informed him Talk of the Town Dinner Theatre needed a music director for a regional production of Hair. Davis had never seen the musical but was just curious enough about the opportunity to apply. He got the gig. The show proved a smash. Singer-actress Karla DeVito was in that production and Davis became good friends with her. She later performed with national rock acts, on Broadway and in feature films. She’s married to actor Robby Benson. Omaha began as a waystop for Davis but he found his creative home and career-making work here. 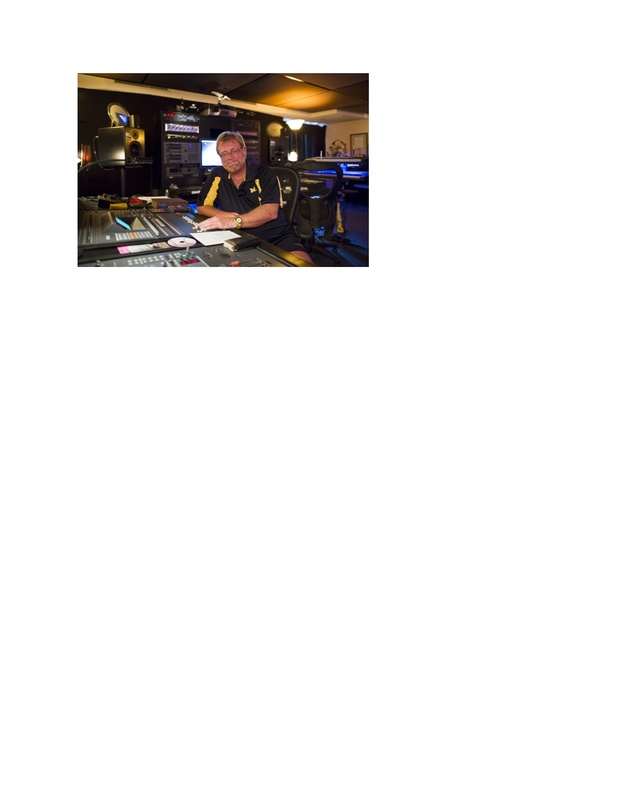 He became music director at Sound Recorders, where he met Bozell & Jacobs creative director Bill Fries. Some Steamroller fans are too young to remember, but Davis first made the big-time writing music to a series of Old Home Bread commercials penned by Fries. The folksy campaign was built around a fictional trucker named C.W. McCall, the Old Home Filler-Up an’ Keep-on-a-Truckin’ Café and a waitress named Mavis. “Bill was writing these sagas of C.W. McCall and he was trying to find voice talent to do it the way he heard it in his head and the guys at the studio said, you sound great doing it, just do it yourself. I got involved writing the arrangements and songs . “The C.W. McCall thing picked up and really took off. The spots not only boosted the regional food company’s sales but caught the attention of media, advertising and music executives, especially when the campaign won the ad world’s highest honor – the Clio. Realizing they were onto something big, Davis, Fries and Sound Recorders owner Don Sears formed American Gramophone to capitalize on these country and western musical tales, which they packaged and released as albums and singles. “When we made the first 45 (record) we got it into all the jukeboxes. We had an ad campaign with a budget of $50. We turned it all into quarters. Everybody at the studio would grab a pocketful of quarters and go punch up the tune on jukeboxes at bars around town so that people could hear it and know that it existed. A subsequent single, “Wolf Creek Pass. '” was a crossover hit – even making Casey Kasem’s nationally syndicated “American Top 40” countdown show.. The second McCall album, “Black Bear Road,” contained a song called “Convoy” with an elaborate CB (Citizens Band) radio narrative. To everyone’s surprise, the single went viral. The success of “Convoy” led to commercial endorsement deals for CB radios, even lawnmowers. It even led to a 1978 major motion picture, Convoy, that took the song as its title. The legendary but troubled Sam Peckinpah directed the movie for EMI Films. It starred A-listers Kris Kristofferson, Ali McGraw, Burt Young and Ernest Borgnine. The film shot in New Mexico. At that point in his life Peckinpah was an alcoholic and drug addict. He was nearly fired from the chaotic production and when he submitted a nearly four-hour long cut, the studio did ax him and editor Garth Craven. 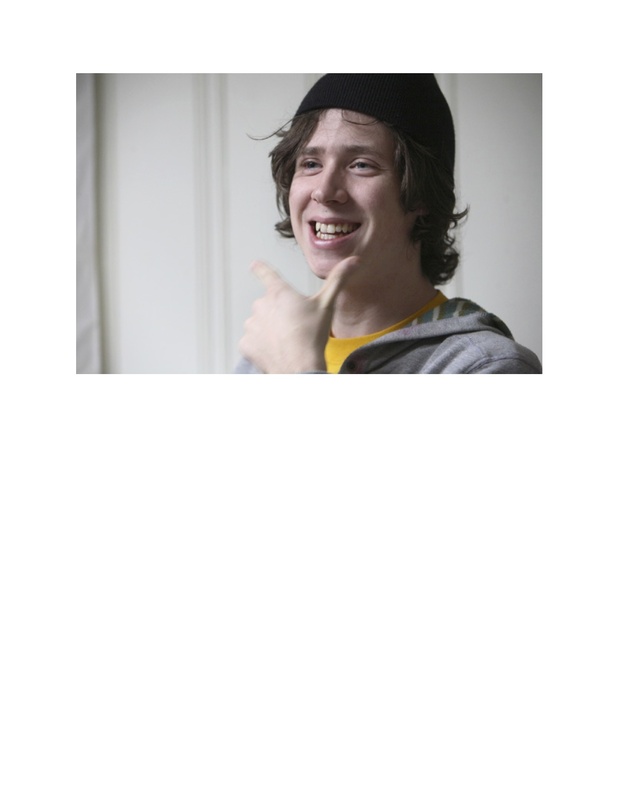 A new editor, Graeme Clifford, recut the film and drastically shortened it. Davis was then approached to score the film that his song inspired. The studio asked Davis to record a sample track before committing to him. Doing a complete film score in that short of a window pushed Davis to the limit but he loved the challenge. The movie did good box-office, due no doubt in part to its subject coinciding with the CB craze. Davis was tempted to try his luck as a freelance film scorer in L.A. but thought better of it. The money Davis made off McCall funded his 18th century classical rock endeavor. As Davis readied his first Steamroller album, ‘Fresh Aire I,’ he had no idea how it would be received by the masses. The first inkling he was onto something came from music producer Jimmy Bowen and TV music composer Mike Post, whose engineer John Boyd went to work for Davis. Davis and Fries found a formula in McCall that worked in the country category, “but this was a completely different animal,” since no one had ever heard anything quite like ‘Fresh Aire’ before. “I wanted to call it eclectic because it’s eclectic music. The retailers all thought I said electric,” Davis recalled. Even Davis wasn’t sure what he had. Being an independent music creator and record producer may have been his greatest stroke of genius. He suddenly found himself both a musician and a businessman. What explains the appeal of his music and it selling something like 50 million units to date? For him, it’s all part of the same creative urge. His family enjoyed the ride as Steamroller gained momentum and found unexpected mega success. When Davis needed a harpsichord with a distinct sound, his father built him one. Travels for his music have brought him to Great Britain to record with the London Symphony Orchestra, St. Petersburg, Russia to score the Goodwill Games, the Czech Republic to record with the Czech Philharmonic Orchestra and the namesake of his group’s name, Mannheim, as part of a nine-city tour in Germany. He’s recorded with notable guest artists such as popular pop singer Johnny Mathis and he produced an album with the late superstar John Denver. Denver went morel mushroom hunting on Davis’ farm. Davis’ wide-ranging interests have given him access to NASA space subtle launches. He provided the technology to make hyper-accurate film-sound recordings of Discovery and Atlantis launches. He’s met several astronauts, including Buzz Aldrin. Mannheim Steamroller has performed at the Lighting of the National Christmas Tree ceremony during the Clinton, George W. Bush and Trump administrations. His celebrity isn’t something he dwells on. Davis is grateful his music resonates with so many. He’s also wise enough to know he’s often been in the right place at the right time. There there’s the artists he’s gathered around him for studio sessions and concerts. He credits concertmaster and violinist Arnie Roth with landing stellar classical musicians. “We’re talking real big-deal players from the Chicago Symphony Orchestra I could never have gotten to myself. French Horn superstar Dale Clevenger played all my sessions. We had just monster players in the studio. I couldn’t have done it without Arnie. For the Steamroller tours, contract musicians are hired at each stop to join the touring players to create a great big sound machine on stage. The first violin player Davis hired to play, Steve Shipps, is associate dean at UM’s School of Music and he sits in as lead violinist whenever Steamroller plays in that area. “It’s like a gigantic family of musicians stationed in different places,” Davis said. Some of Omaha’s best known musicians have collaborated with Steamroller: Jackson and Almeda Berkey, Joey Gulizia, Ron Cooley, Becky Kia, Chuck Penington. The music connections are everywhere. Omaha native Jonathan Swoboda plays keyboards in the Universal Studios orchestra Davis conducts. Swoboda’s father was the attorney who trademarked American Gramophone for Davis. Davis has had the same business partner and the same agent for decades. He became-remains friends with the head buyer who got his work in Target. “These relationships have lasted,” he said. Most of all Davis is grateful for the gift of music and the ability to share it. He feels obligated to. “This music comes into me from somewhere. I don’t know where. I feel like it comes from above or from God or the ultimate creator. I feel its pouring into me and it just kind of leaks out. He may awaken in the middle of the night with an idea and stay up all night to write it. He keeps a voice recorder handy to whistle or hum notes that appear. The framework for his music is always classically based. Making a difference with his music is icing on the cake. He’s made sizable donations of CDs to U.S. troops, military hospitals, the VFW and military support groups. For the Strategic Air Command & Aerospace Museum’s 20th anniversary gala on October 19 he conducted Mannheim Steamroller in concert and led the audience in singing the national anthem. He’s far more comfortable in the studio than on the stage, where there are no do-overs. The gregarious Davis is surprisingly shy. Doing press is another thing he’d rather not do, though he does a lot of it. He’s employed a high-priced interview coach to help him hone his message. Davis himself is still exploring new ground. He and Mark Valenti co-wrote a boxed-set audio book, The Wolf and the Warlander, inspired by the friendship between a horse and a wolf who’ve grown up together on Chip’s farm. The two men wrote the book in the Tiki-style hut Davis keeps in Florida. “When we got done with the last chapter it was sad – we were having such a good time creating,” Davis said. He could live and work anywhere but Omaha continues being his permanent home. Why leave where it all happened for him? 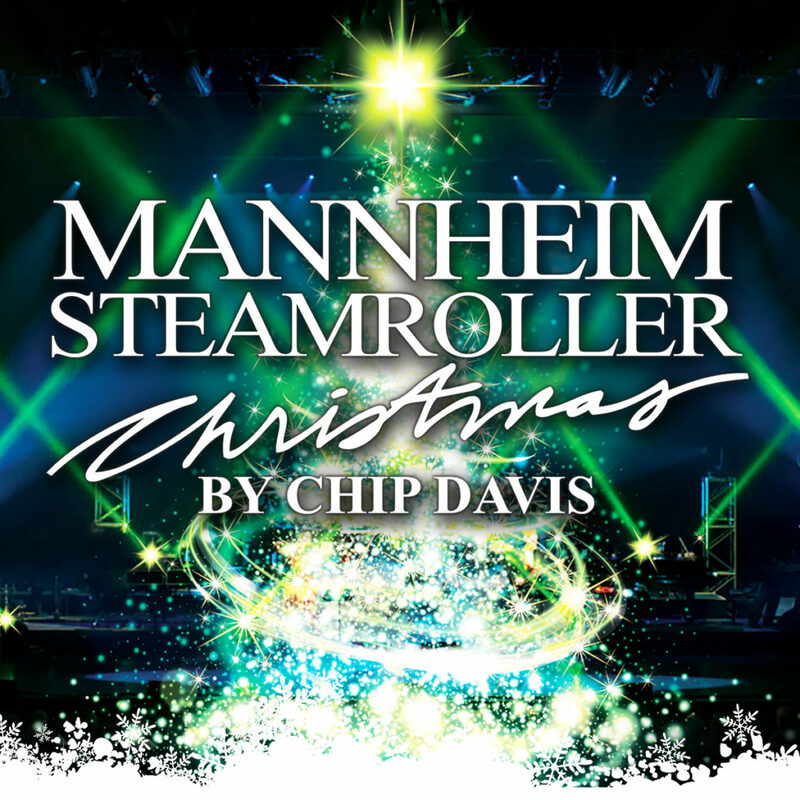 Chip Davis and Mannheim Steamroller will perform Christmas concerts at the Orpheum Theater on December 22 and 23. 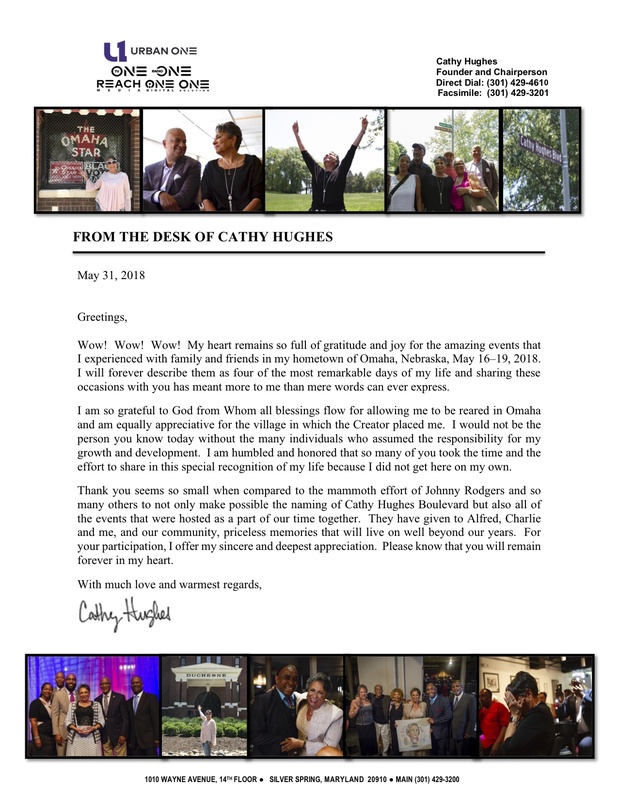 Sweet nostalgia flowed when Omaha native media titan Cathy Hughes got feted in her hometown May 17-19. It marked the first time many Nebraskans heard of Hughes, even though this head of national networks cites her Midwest upbringing for the resilience behind her barrier-breaking entrepreneurial success. After the hoopla around her coming back, she owns the state’s undivided attention. 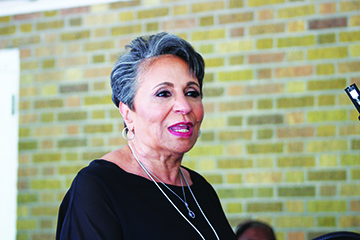 The Omaha African-American community that produced Hughes has long followed her achievements. Her multimedia Urban One Inc., whose brands include Radio One and TV One, are black-centric platforms. Despite a media footprint rivaling Oprah and a personal net worth of half a billion dollars, her black market niche didn’t register with the general public. Until last month. Heisman Trophy-winner Johnny Rodgers marshaled coverage for street renaming, Empowerment Network and Omaha Press Club recognitions. She recently produced her first movie, Media, for TV One. Rodgers is among history-makers whose paths she’s intersected. She appreciates him making her mogul ascent more widely known so as to inspire others. She came up in Logan-Fontenelle public housing when northeast Omaha truly was “a village.” Her accountant father and International Sweethearts of Rhythm musician mother were civil rights warriors (the De Porres Club). The former Cathy Woods attended Catholic schools. She demonstrated for equal rights. The bright Central High student was “the apple of many influential eyes.” When she became a teen single mom, she didn’t let that status or reality define her, but drive her. Neither did she keep her radio fame ambitions to herself. In 1972 she left for Washington D.C. to lecture at Howard University at the invite of noted broadcaster Tony Brown, whom she met in Omaha. 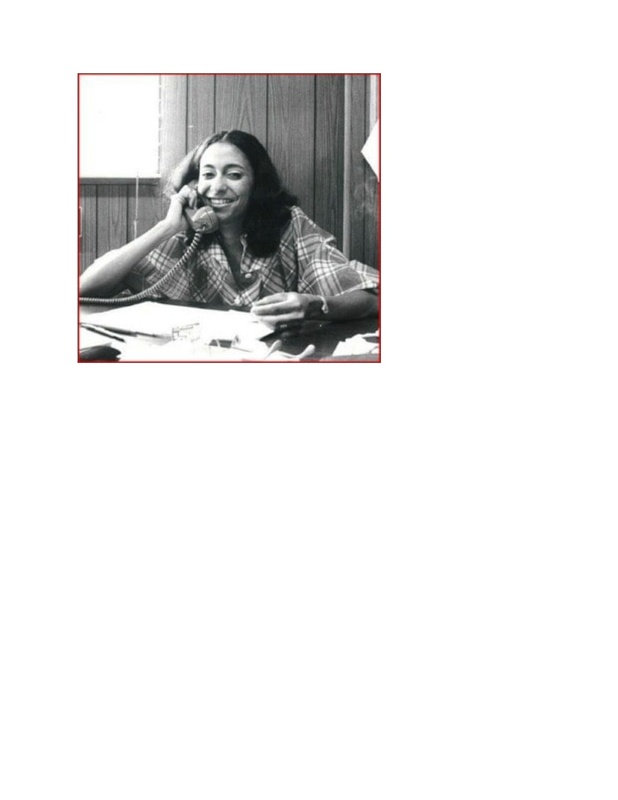 It’s then-fledgling commercial radio station, WHUR, made her the city’s first woman general manager. She grew ad revenues and listeners. 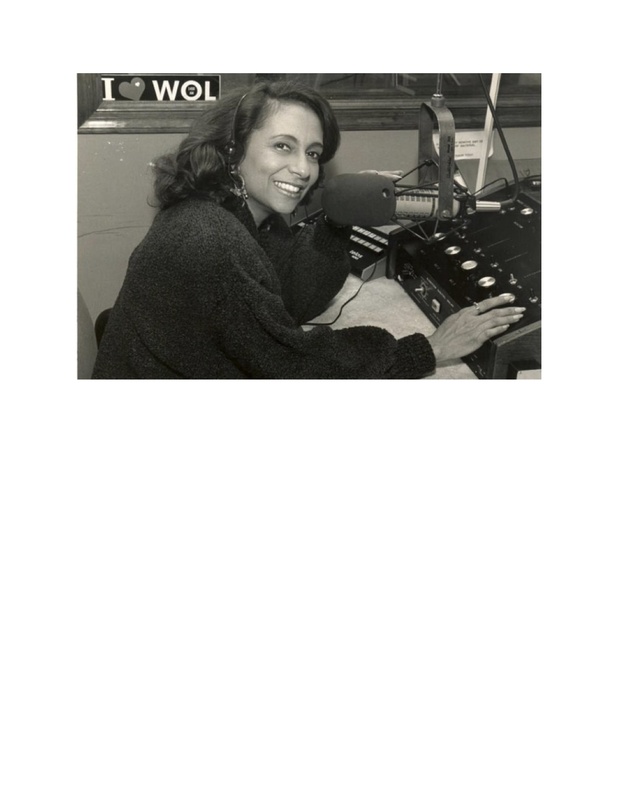 A program she created, “Quiet Storm,” popularized the urban format nationally. With ex-husband Dewey Hughes she worked wonders at WOL in D.C. After their split, she built Radio One. She met Graham through the late Susan Thompson Buffett, the first wife of billionaire investor and then-major Post shareholder Warren Buffett. Hughes already knew Buffett from their shared social activism in Omaha. The late publishing magnate John H. Johnson (Ebony, Jet magazines) became a friend, mentor and adviser. “In Omaha, we had black pride and black love and a militancy that was very unique. When you’re a child growing up in that you just assume you’re supposed to try to make life better for your people. That’s what was engrained in us. We didn’t have to wait to February for black history. We were told of great black accomplishments at church, in school, in social gatherings. I thank Omaha for instilling that in me. Working at KOWH. the metro’s first black radio station, affirmed for her blacks could realize their media dreams. Fulfilling her dreams necessitated leaving home. Her career’s based on the proposition black media is the unfiltered voice of a people. 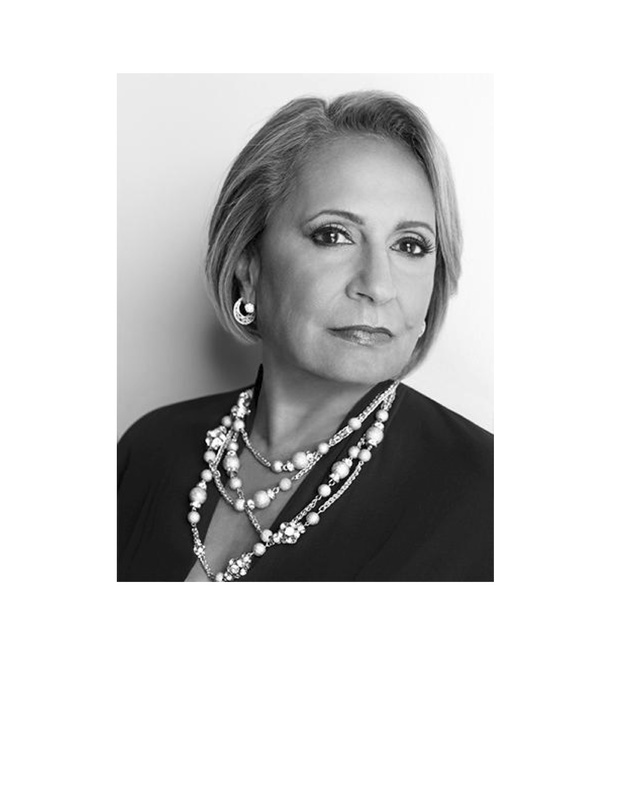 She advocates black consumers collectively focus their purchasing power in support of black businesses, thus creating greater opportunities for economic growth and job creation within black communities. Her visit home sparked bittersweet nostalgia. “Driving down North 24th Street was so disturbing to me,” she said of sparse business activity along this former Street of Dreams now undergoing revival efforts. She thanked those “who removed obstacles out of my path so I could be who God destined me to be” and “Omaha’s tough love” for pushing her to excel. She rejects the idea her recognition here was overdue. “Just to see where she started from in her career with a small studio in D.C. to large media owner. She was determined to never give up no matter what challenges she had to face. Very inspiring for a freelance journalist and radio host-producer at Mind and Soul/Malcolm X Radio like me. She also comes from very humble beginnings right in the Omaha metro. A very positive example of what can happen when you keep your eyes on the prize, so to speak. “It’s inspiring because I’m currently walking in her footsteps with the creation of radio stations. I’m following every lesson from the matriarch of radio and TV. “She’s an example that greatness come from the North Omaha community. It gives one the belief that if she can do it so can I. It’s motivation that drives you to succeed.